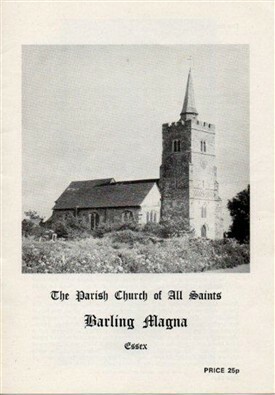 The oldest part of Barling church (which is dedicated to All Saints) is Norman, although there have been many alterations and additions over the years. The fine Jacobean stone font still has an oak cover, and it was in 1236 that the Archbishop of Canterbury ordered that all fonts should be locked to protect the holy water; there was a strong belief that the holy water was being stolen by witches and there was a strong tradition of witch-craft in Essex, in particular in Canewdon. The church is situated near the creek and its spire was used as a landmark by fishermen and barge captains bringing in their catch of oysters. This page was added by Mave Sipple on 27/02/2012.